TSBA is pleased to announce a new service that is available to Tennessee School Boards called Mediation and Conflict Resolution. Why is TSBA Offering Mediation Services? *This service will be offered by Deputy Executive Director & General Counsel, Randall Bennett at $250 per hour plus expenses. 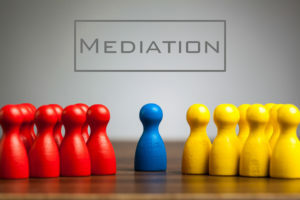 **Mediator has met the requirements of Tennessee Supreme Court Rule 31 and has been trained as a Civil Mediator at the Lipscomb University Institute for Conflict Management, and is listed by the Alternative Dispute Resolution Commission as a Rule 31 Civil Mediator. Additionally, he has had previous training as a negotiator.